Volkswagen is committed to your driving experience being a fully connected one which is where the VW Car-Net® mobile app comes into play. This app is responsible for some of the best features you can enjoy in both entertainment and safety in three key areas: App-Connect, Security & Service, and Guide & Inform. Each area brings you some features you may be used to using in your vehicle such as Apple CarPlay™, roadside assistance, Family Guardian mode, and even last parked location information. But now that Siri is joining the party, you will be able to do even more with your Car-Net® app! You can lock and unlock your Volkswagen, enable your honk & flash command, and even check an estimate of what fuel is left in your vehicle or the mileage! 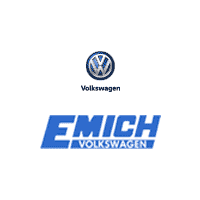 Here at Emich Volkswagen in Denver, Colorado we have a large inventory of 2018 and 2019 Volkswagen vehicles that come with the VW Car-Net® mobile app installed – all you have to do is pick which one fits your needs. We can help you find one that fits your budget and has the variety of features you want. Stop in today to look and even take a test drive!